If you are looking for an abundance of luxury and superb quality, neatly wrapped in elegant style, you should be driving the all new — and extremely spacious Lexus ES 250. It’s not the world’s most revolutionary car. It’s not the fastest either. 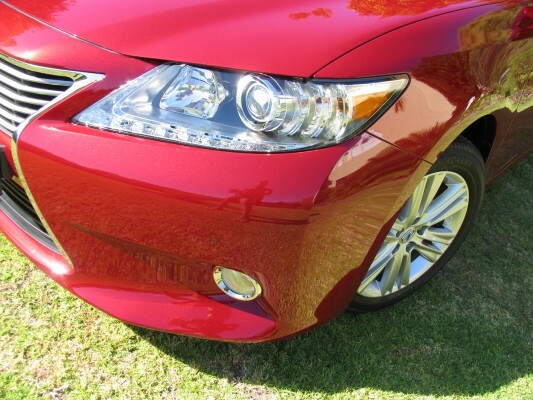 But then again, the all new Lexus ES 250 was never meant to be either of those. 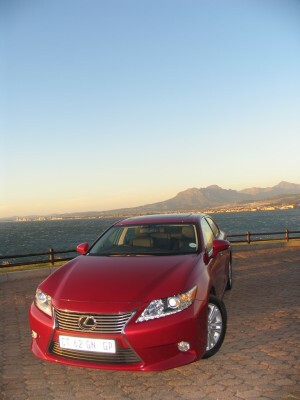 Lexus wanted to present unrivalled value (without compromising luxury) in the premium motoring segment and it did exactly that – very successfully too. 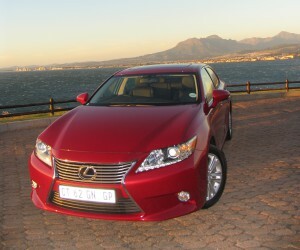 Although new to the South African market, this is the sixth generation ES and it surely redefines the entry-premium segment — in terms of pricing, the ES (at R435 900) slots in just below the new IS range and will bring fierce competition in the premium motoring segment (or as the Americans put it, upscale midsize cars). Bulky and huge, yet in an impressive way, the exterior is stylish, elegant and bold and the car’s classic lines provides a Jaguar-like look, as a number of onlookers commented. The ES 250 glides quite effortlessly through the traffic and the driving experience is enhanced by the fact that all controls in the cabin are logically placed and easy to use. Although the car, at the first glance, leaves the impression that it would, with a four-cylinder 2,5-litre engine, be sluggish (given the size of the car), it’s not really the case, since dual-VVT-i technology to control the valve timing on both the intake and exhaust camshafts, provides optimal performance and efficiency at all engine speeds. As for fuel consumption, the car averaged about 8,0 litres/100 km (in Eco mode), dropping even lower when doing long distances, which is, once again, considering the car’s size, not half bad at all. Three driving modes (my personal favourite feature of the car), Eco, Normal and Sport, can easily be activated with the turn or push of the DMS selector knob. In Eco mode, temperature via the climate control system, airflow volume and seat heater activation are managed to achieve optimum efficiency. Instrument meter illumination also turns a tranquil blue to indicate environmental-focused driving performance. In Sport mode, acceleration feel and EPS are sharpened for greater engine response. In my opinion, for everyday driving, Normal mode seems to be the preferred setting, as it balances performance and efficiency. Sliding in behind the wheel, the car simply wraps you in a ‘cocoon-like’ space – the interior is easy on the eye, sophisticated, and left me feeling solid and safe. Getting started, navigating the controls initially took quite a bit of figuring out as the way the controls work is not obvious. Even though I consider myself quite tech-savvy, I had to get the instructions manual out a number of times. But then again, that’s what the manual is there for. However, once under the belt, accessing and navigating the many mod cons via the central screen and remote touch interface is child’s play. One of the more noticeable aspects of this vehicle is its spaciousness. The interior is designed with this in mind and has enough room to comfortably accommodate four passengers. Lumbar support and electronic seat adjustments ensures you drive in a comfort tailored to your specific needs. 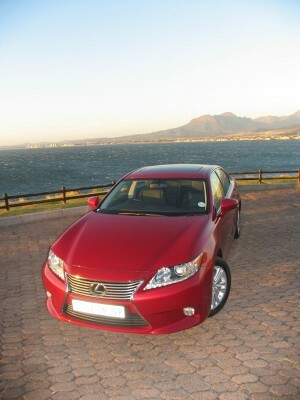 Besides for the fact that the Lexus ES is a good looking and extremely easy and pleasant car to drive, the fact that the car comes with many standard features, will surely, in my humble opinion, make it a big favourite in the South African premium buyer's market. These standard features include Remote Touch interface with eight-inch full-colour monitor, a navigation system, leather trim with high-quality stitching and tasteful ambient lighting, a moonroof, smart entry system with push-button start, power seats with seat heaters (with driver’s seat memory), electro-chromatic rear-view mirror, heated and electrically adjustable side mirrors (with memory), a reverse-view display and parking sensors front and rear, cruise control, tilt-and-reach-adjustable steering column, an electric rear sunshade, EMV Display with eight-speaker audio system incorporating a radio, CD/DVD player and bluetooth. When I drove a friend’s ES a number of years ago abroad, the car lacked something that for years I could never figure out – until now – the presence of a distinct and identifiable brand presence. 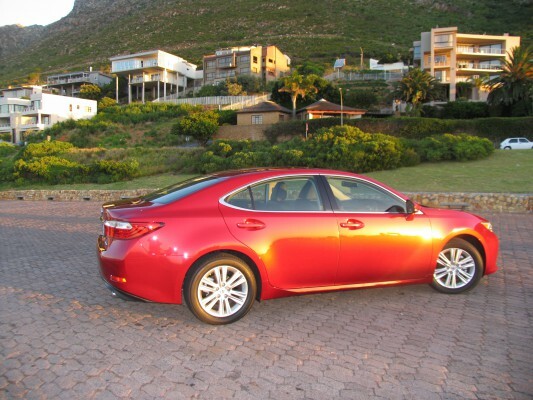 Where the previous ES I drove resembled, to a large extent, the Toyota Camry, the current model (like most other new Lexus models) proudly boasts luxury, elegance and quality that was previously not prominent. The days when Lexus were joined to Toyota’s hip are over – and if the ES 250 is anything to go by, brand Lexus will not just stand proud and tall, it will soon tower above many of its European competitors.